State and federal laws have for decades required disability access to public places. But compliance by business is low. CAOC believes the time for change is now. Federal laws also protect the access rights of the disabled. The federal Americans with Disabilities Act (ADA) was enacted by Congress in 1990, and violation of the ADA is a violation of California civil code. These laws are of the utmost importance to disabled citizens, so any attempts to make changes should be undertaken with extreme sensitivity to guard against undercutting the lives of those who live with disabilities. Business owners found in violation of disability access laws may be liable for attorney fees and damages of $4,000 or more. But we at Consumer Attorneys of California believe the primary goal of any disability access lawsuit should be to ensure compliance with the law. Changes should be made. Access should be provided. The goal should be ensuring that structural alterations are made to adhere to disability access rules, not punishing small business and then walking away without changes being made. In most instances, that goal is met: Disability access enforcement lawsuits have resulted in improved access for physically disabled persons at major accommodations and have empowered disabled persons to take action when faced with illegal restrictions on access. Businesses should look to providing good access to the disabled as a smart business opportunity. 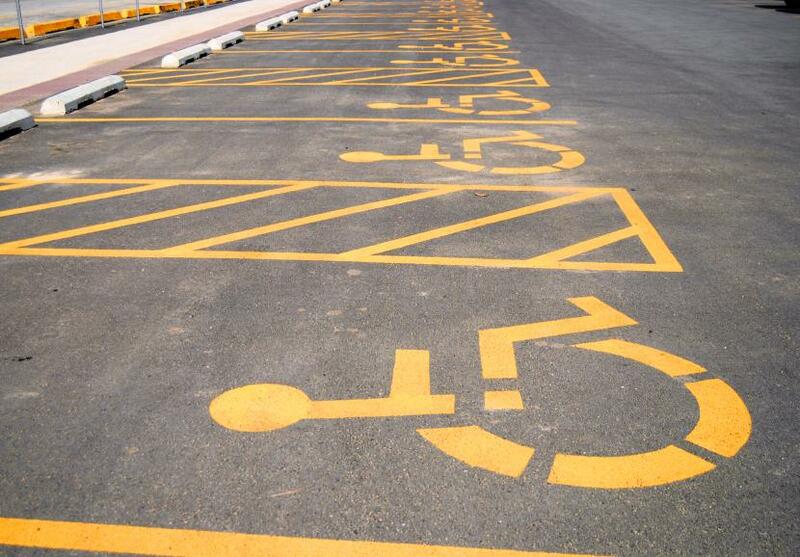 In California, one in 10 people have some sort of disability, according to census figures. Between the ages of 18 and 64, one in 25 use a wheelchair or walker. Among those 65 and older, that rises to one in four. Taken together, the disabled represent a huge class of potential customers. But much work has yet to be done. CAOC has worked with the California Chamber of Commerce and other business groups as well as disability rights groups to help bridge the gap. In 2009, this coalition helped win approval of SB 1608 (pdf) in the Legislature. Under that statute, businesses can shield themselves with legal protections if they hire a Certified Access Specialist (CASp) to identify and correct disability access violations. With CASp certification, a business owner can ask the court to put a 90-day hold on an ADA suit and can request an early evaluation conference with a court officer who has had special training on ADA issues. A CASp can also help put together a plan to make any changes needed for ADA compliance. A full list of CASp professionals is available on this state web site. In 2012, CAOC participated in a working group to pass SB 1186, also aimed at promoting increased compliance without unwarranted litigation. In 2015, CAOC backed Sen. Richard Roth's SB 251 to ensure access to businesses for persons with disabilities by ensuring legal actions focus squarely on business compliance instead of seeking monetary damages but no access improvements.